Turncircuit Limited has been trading for almost 30 years, changing and adapting to our customer needs. 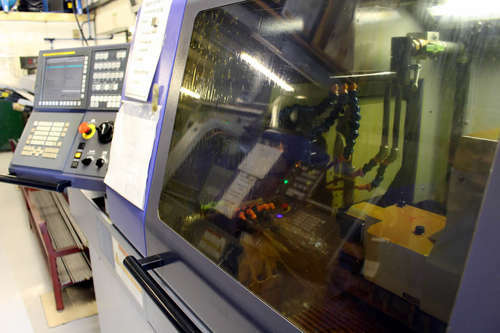 We have continually grown and invested in new machinery making us best able to process requests for detailed precision made components with flexible production volumes. We are able to produce complex items in plastic, ferrous and non ferrous materials. Our highly skilled team of engineers and designers offer a service tailored to your needs to guide you through to the completion of your product. Our quality control department oversee progress throughout manufacture to ensure that every product is made to your specification and meets our strict production standards. Our inspection department is equipped with a CMM (Co-ordinate measuring Machine) to measure and record the features of the components produced. Whilst in production continual monitoring of the key features are carried throughout the manufacturing process and recorded to assure consistency. Certificated in 2013 for ISO9001:2008 Turncircuit Limited work to quality objectives and goals, enabling focus on continual improvement of product, service and processes, whilst meeting all industry standards and regulations.